Eleni Gyparakis | Spiegel & Cahill, P.C. Eleni Gyparakis completed her undergraduate degree in 2010 at The Ohio State University. She then earned her juris doctor from the John Marshall Law School in 2013. Ms. Gyparakis was a finalist in the Herzog Moot Court Competition. Additionally, she was an active member in the Hellenic Bar Association and served on various committees. 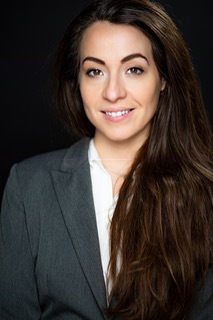 Ms. Gyparakis was admitted to the Illinois State Bar in May of 2018. She has focused her law practice to workers’ compensation matters and appellate practice. She is currently a member of the Illinois State Bar Association, the Chicago Bar Association, and the American Bar Association.